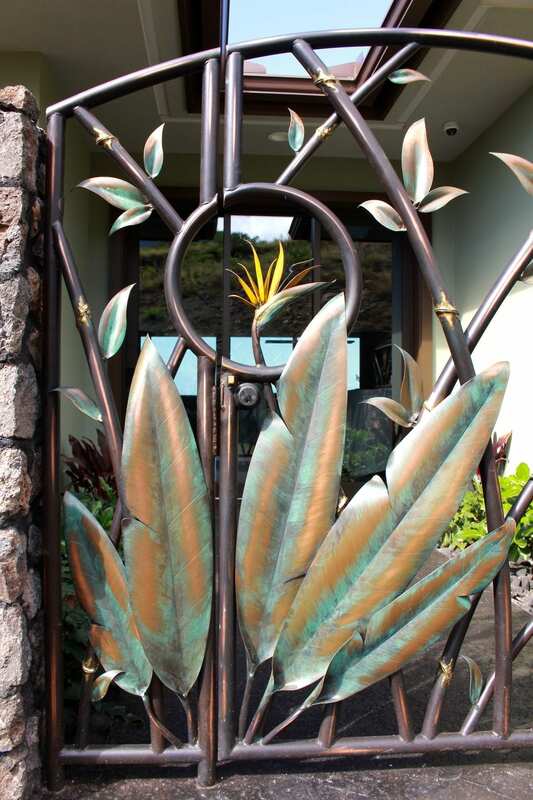 Welcome back to the Padilla Designs blog. 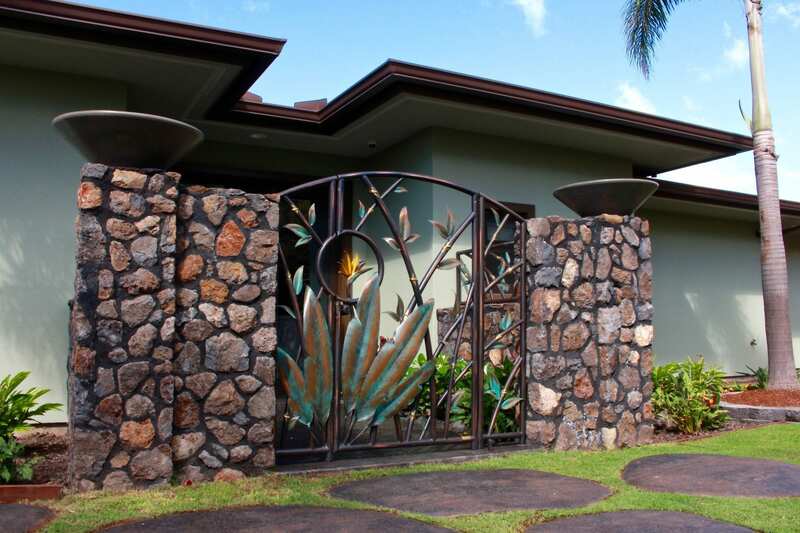 Our homes are representations of our personality, Check out this beautiful Zen garden man gate design with matching panels by Padilla Designs. 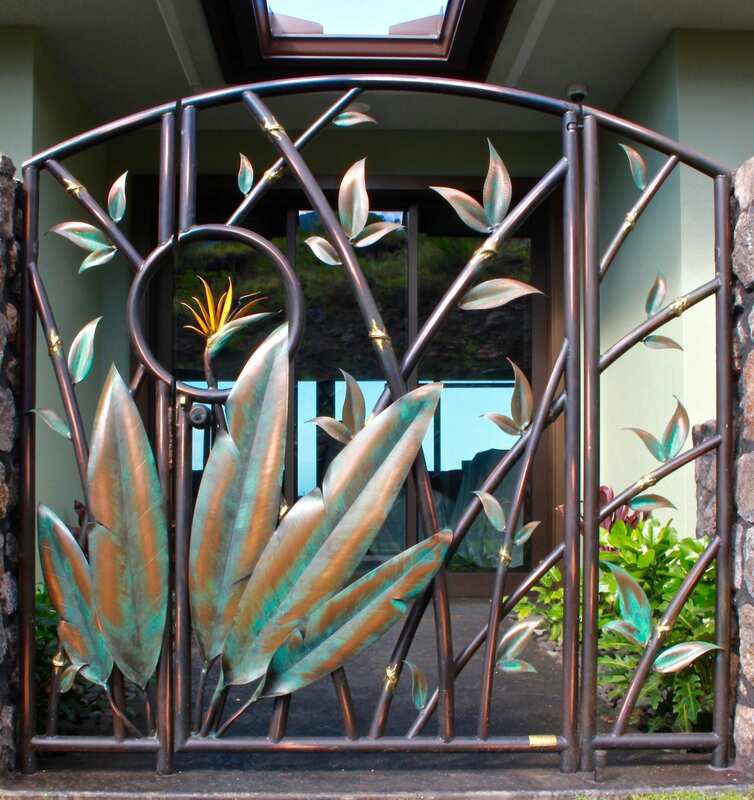 This floral gate and matching panels create a tranquil enclosure to a zen garden patio entrance. 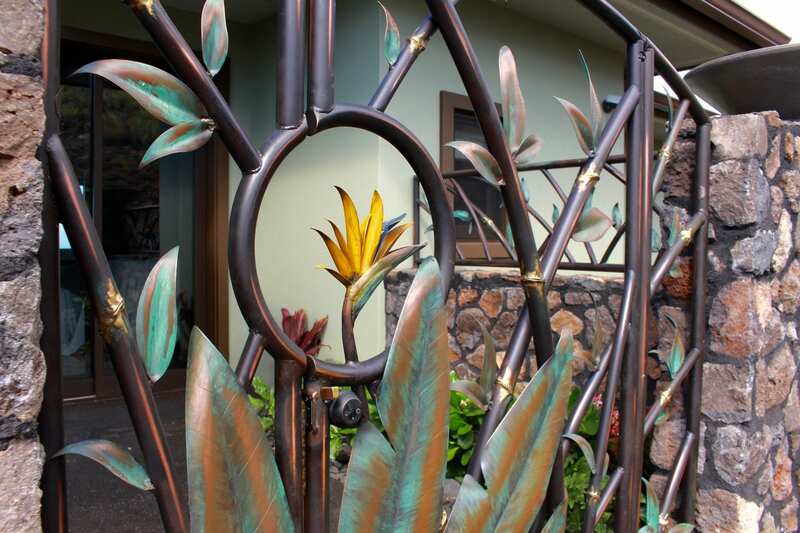 You can see the decorative gates and panels from inside the house adding a sense of architecture to the landscape. 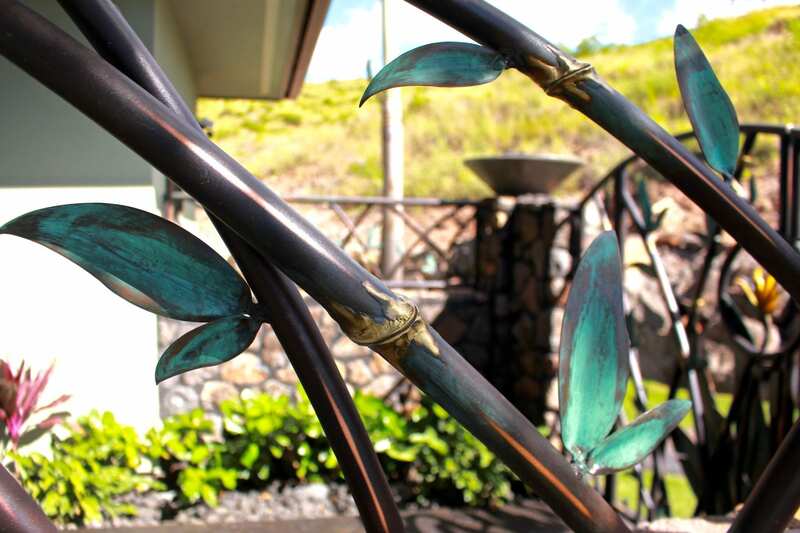 Hand fabricated from copper and brass with a living patina finish. 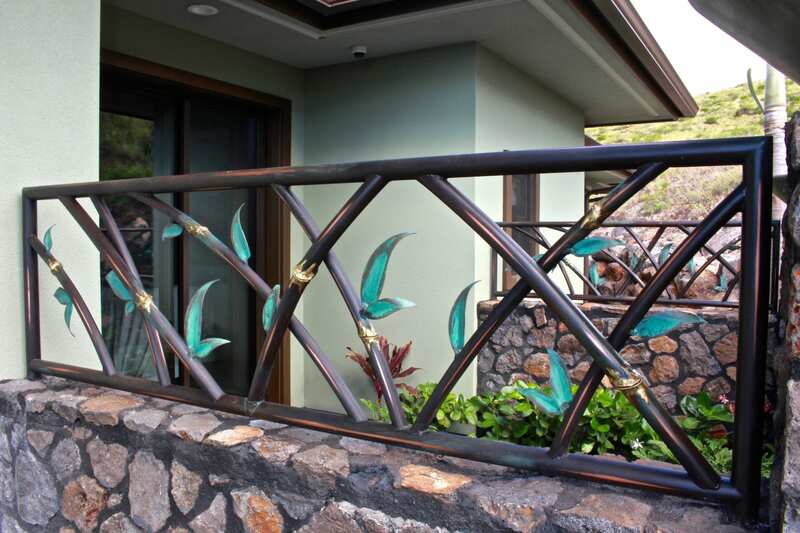 A Bird of Paradise in the geometric circle is a subtle touch enhancing the timeless beauty of nature. Please enjoy the following pictures! 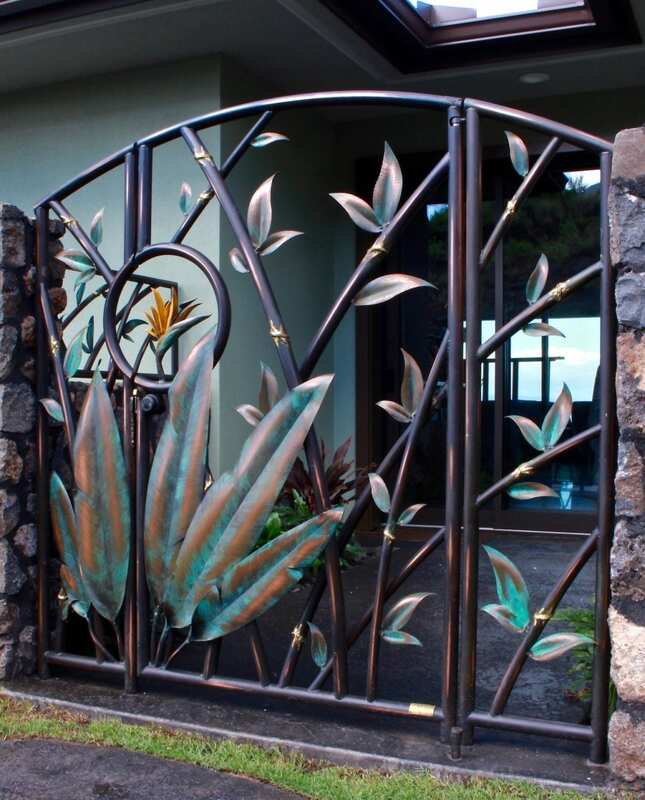 Full view of Zen garden man gate. Framed view of Man gate. Detailed close up shot of panel.